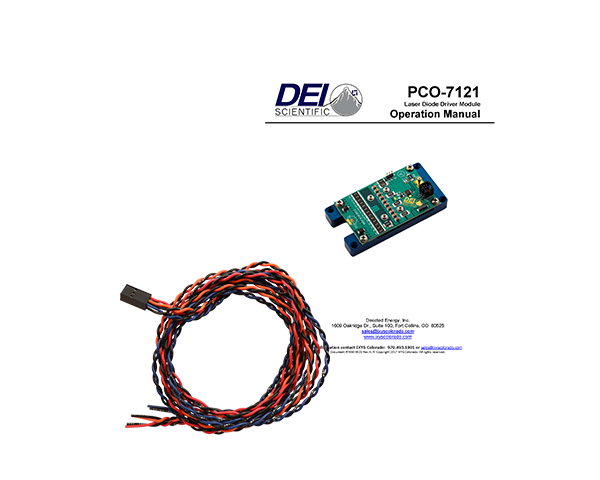 The PCO-7121 is being phased out of production due to component availability. 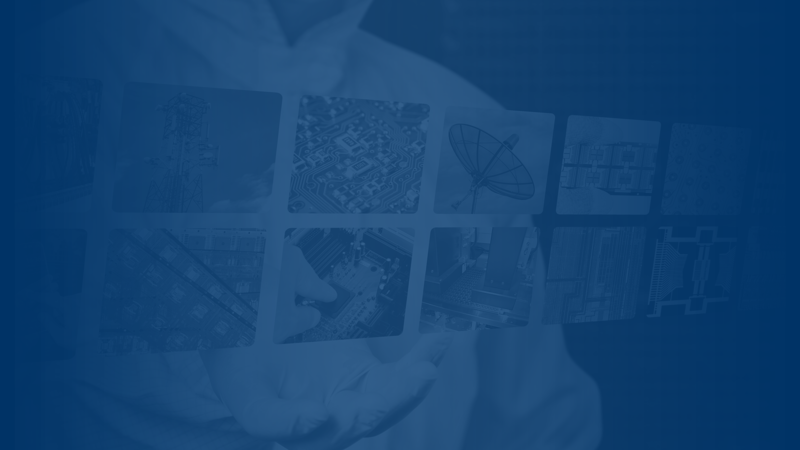 Please visit our Lab to Launch page for new development options for your OEM application and contact us for last time purchase information. 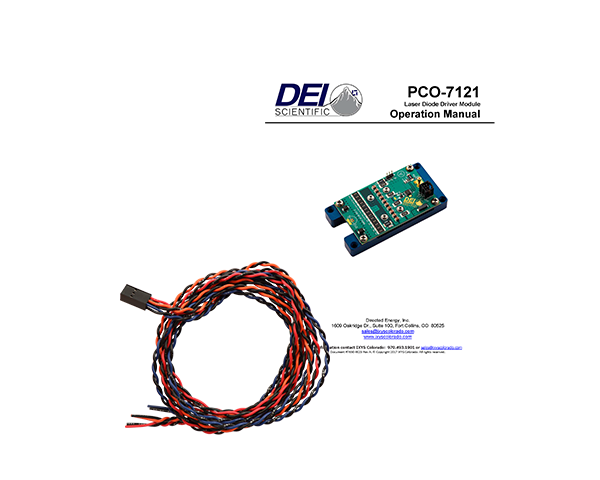 The PCO-7121 is a compact and economical OEM pulsed current laser diode driver module. 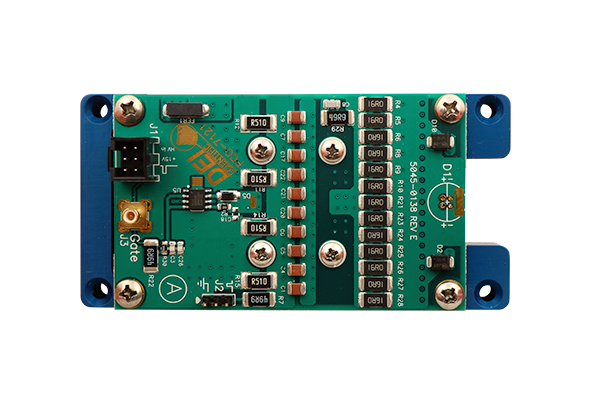 It is designed to provide extremely fast high-current pulses for driving laser diodes in rangefinder, LIDAR, ADAS, atmospheric communications and other applications requiring high-current nanosecond pulses. 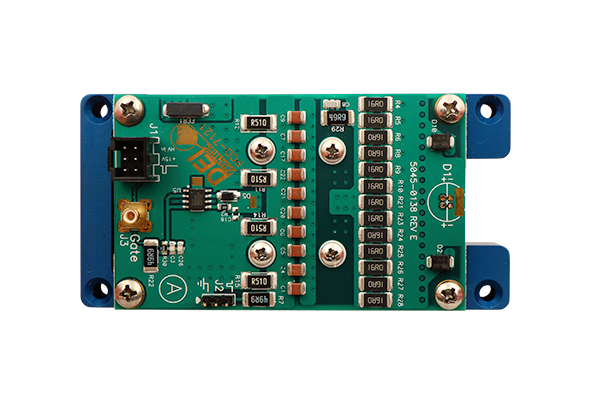 This module offers variable output current from 5 A to 50 A with pulse widths from 22 ns to 1 µs at frequencies up to 1 MHz. 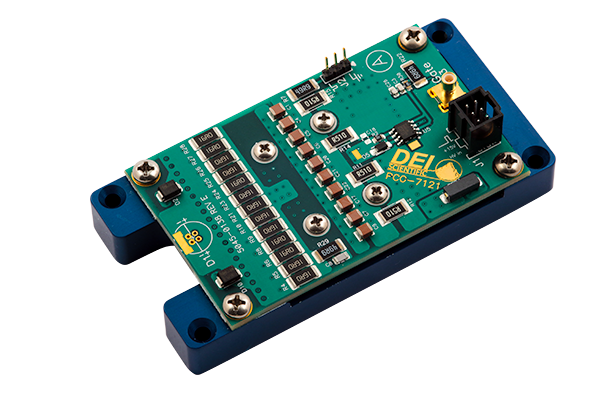 Mounting pads are provided to mount the laser diode directly to the driver. The four-hole mounting pattern accepts TO-18, TO-5, TO-52, 5.6 mm, and 9 mm packages. 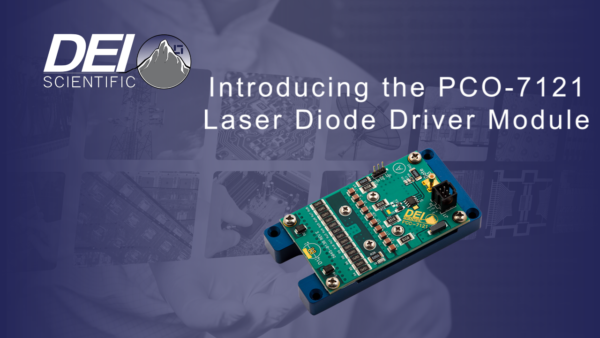 To facilitate various packages and mounting preferences, two solder pads at the end of the board accept various laser diode packages mounted on-axis to the driver. Alternately, low-inductance stripline cable can be used to connect the board to a remotely-located diode. The DC high voltage and +15 V DC power supplies are connected via J1, a six-pin male header connector, using the supplied control cable. Pulse current depends on HV supply voltage over the range of 0 V to +95 V (maximum). Externally-generated pulses are fed to the gate input via either J1 or an SMB connector. The width and repetition rate of the gate pulses directly set the timing of the output pulses. 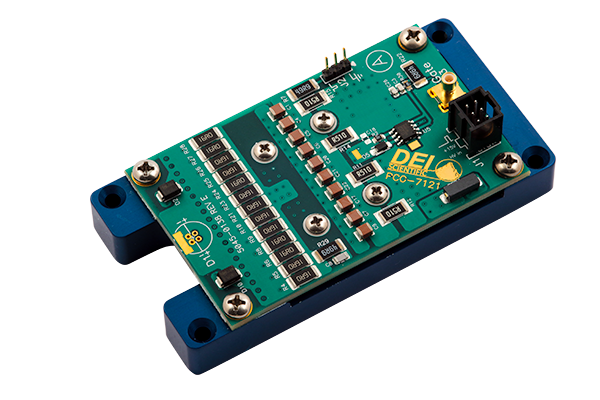 A current monitor output is provided to observe the diode current in real time with an oscilloscope. The driver is supplied mounted on a ½ inch thick aluminum heat spreader to provide the cooling needed and to simplify mounting or installation of the driver. 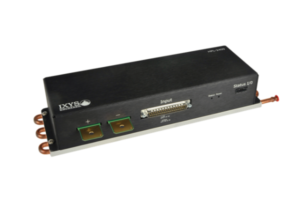 Introducing the PCO-7121 from IXYS Colorado / Directed Energy, Inc.